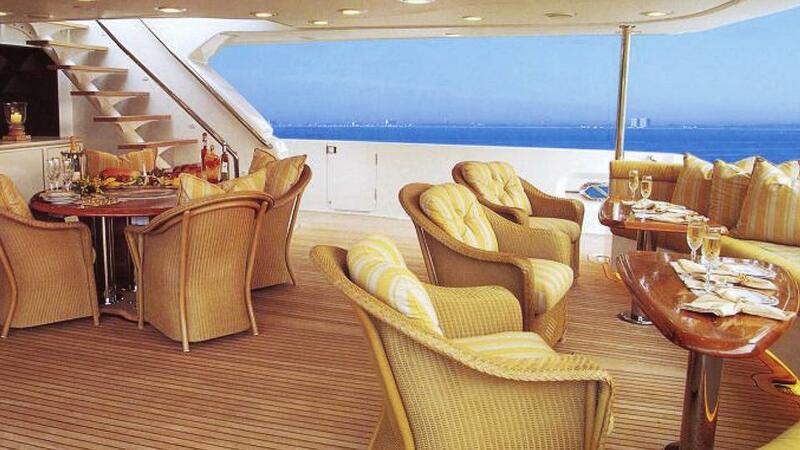 Luxury Westship motor yacht MONALIZA (ex MARTHA ANN) measured 42.67m (140’) in length and was built in 2001. 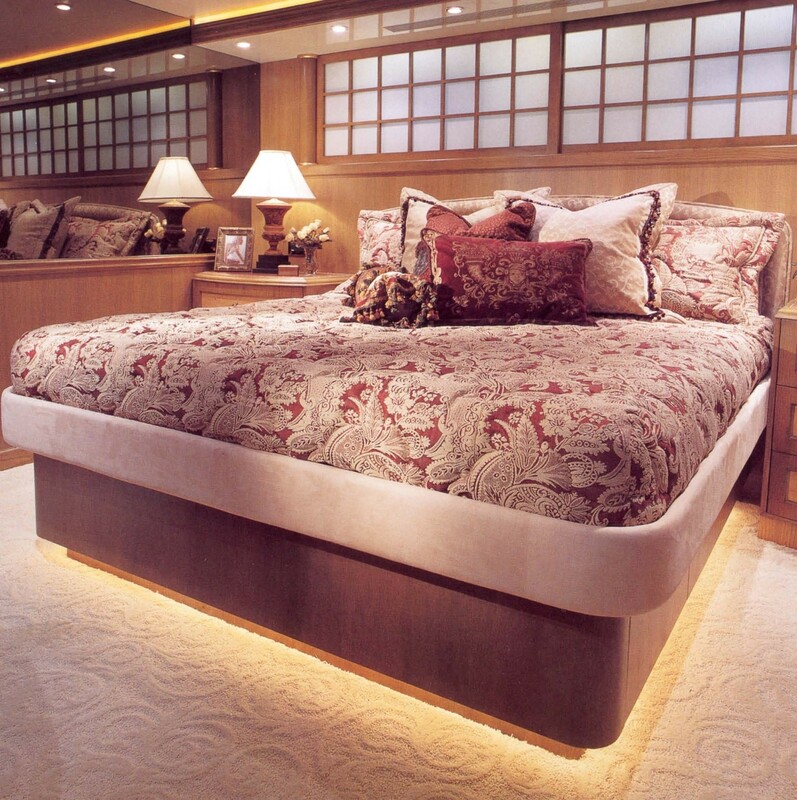 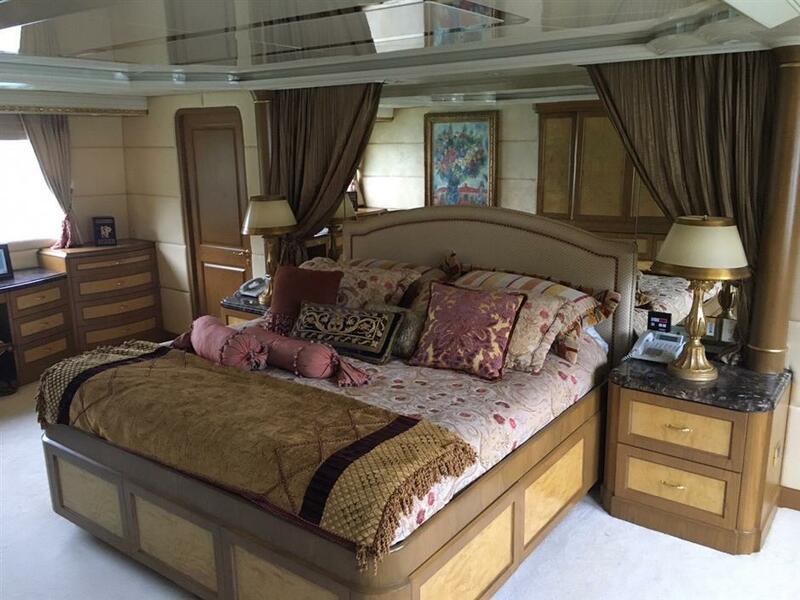 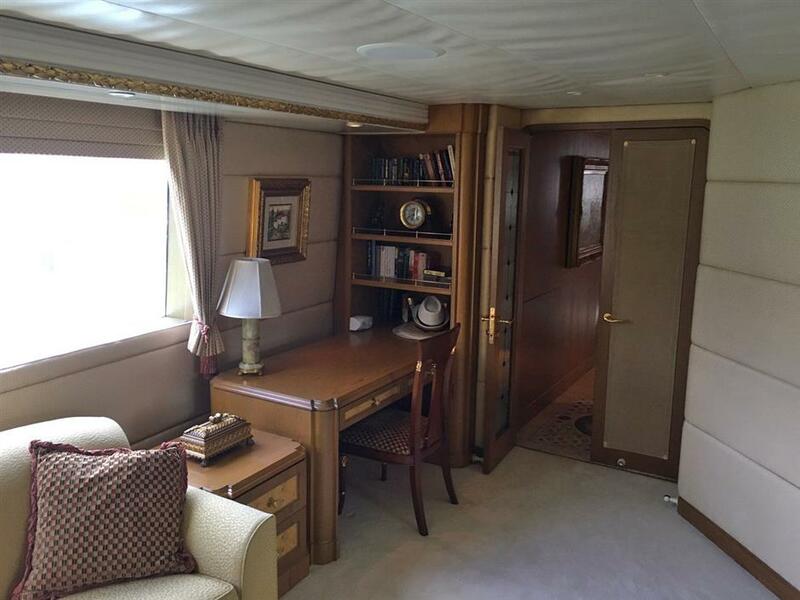 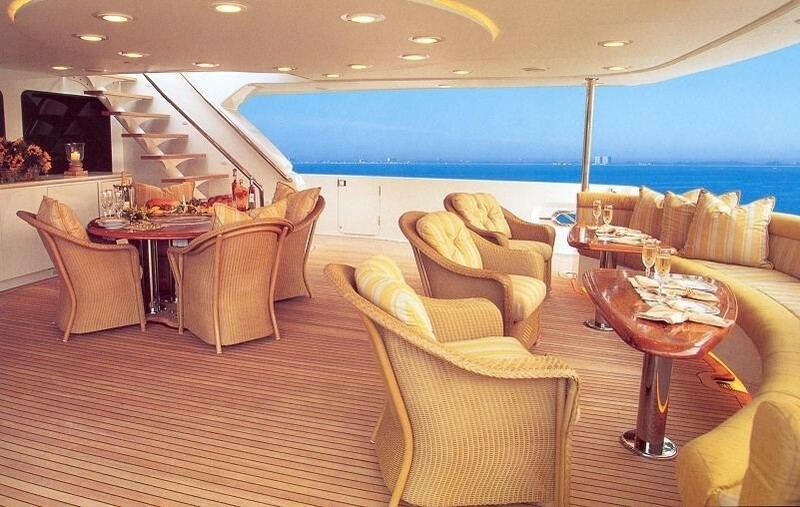 This yacht can accommodate up to 10 guests in 5 well-appointed staterooms. 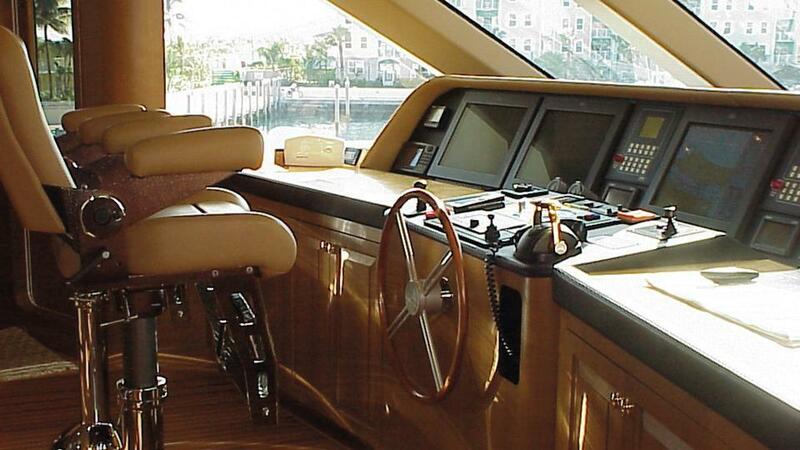 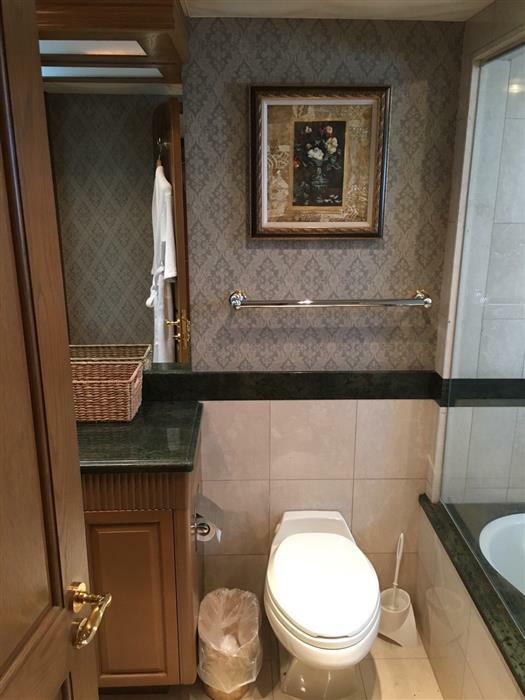 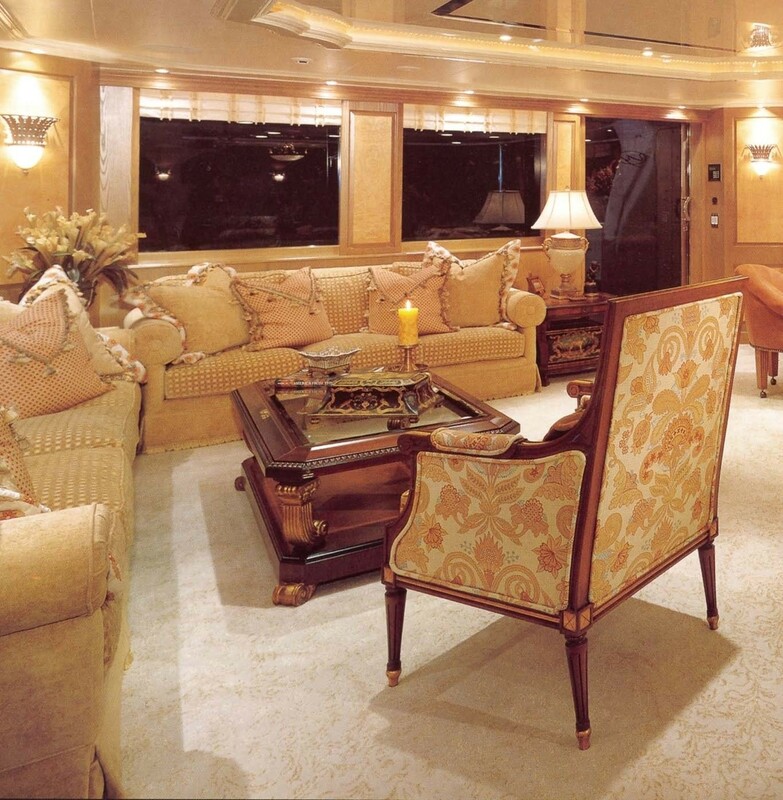 The classic interior offers exceptional levels of comfort and elegance. 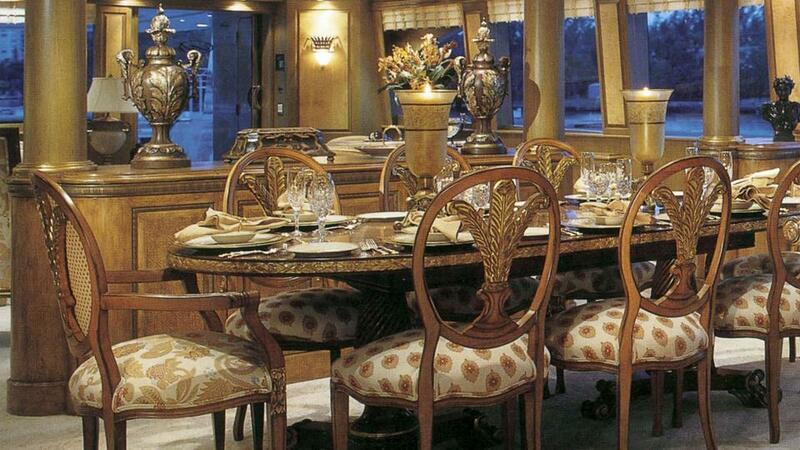 The phisticated interior decor swathed in elegant tones of brown, red, cream, and gold. 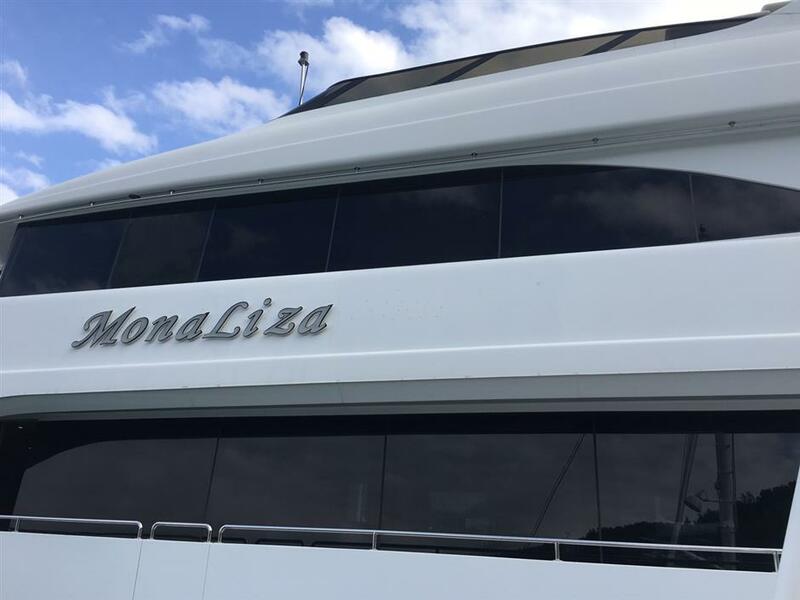 Motor yacht MONALIZA not only has interior décor that is richly opulent and indulgent, but also generous exterior living spaces and lavish accommodations. 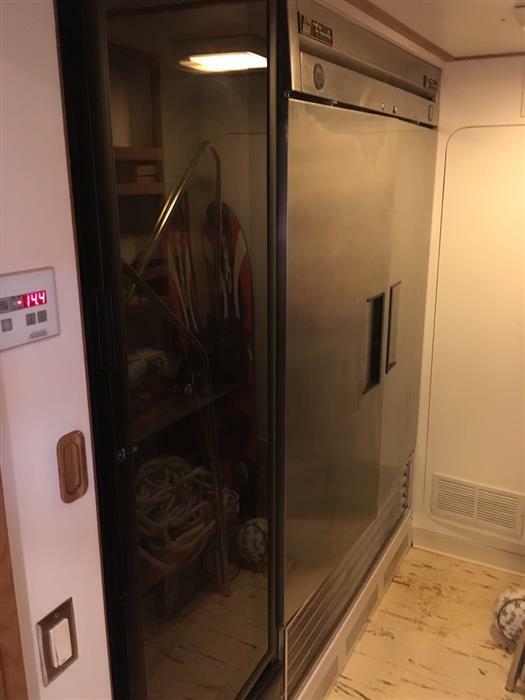 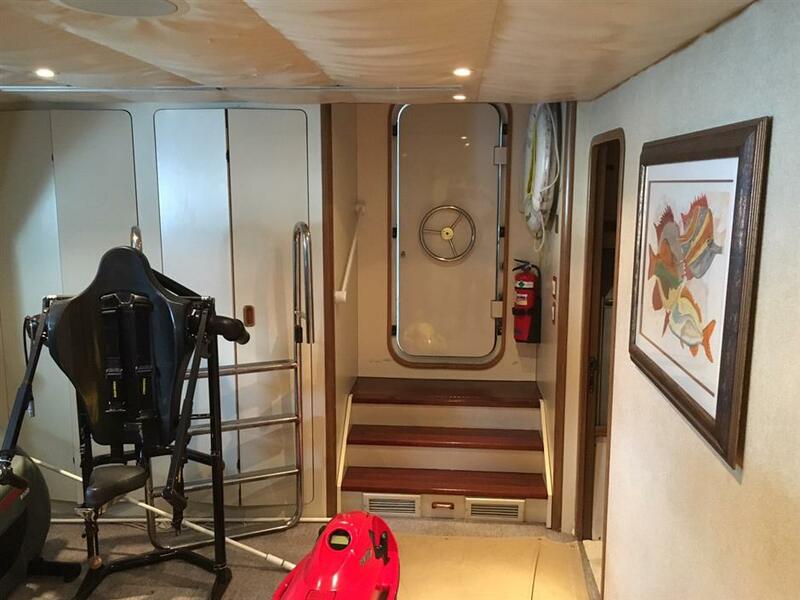 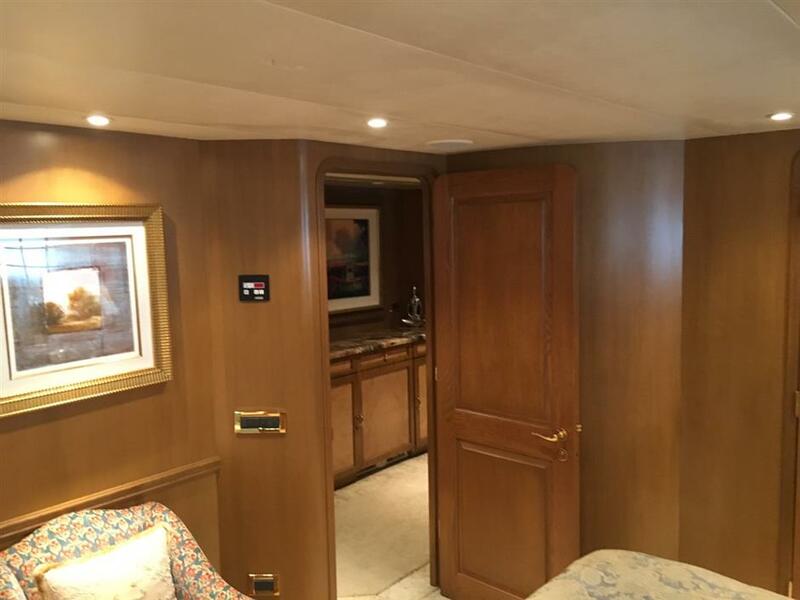 Also worth noting is that this yacht has a gymnasium with equipment including a treadmill, weight bench, and Life Fitness 9100 machine. 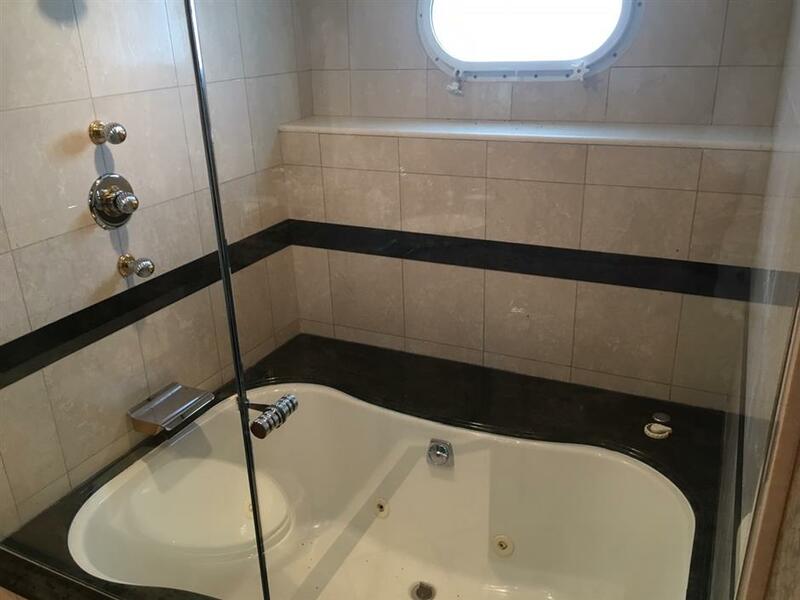 There is also a bathroom with shower in the gym, which is a few steps from the swim platform giving you the option to cool off in the sea after your workout. 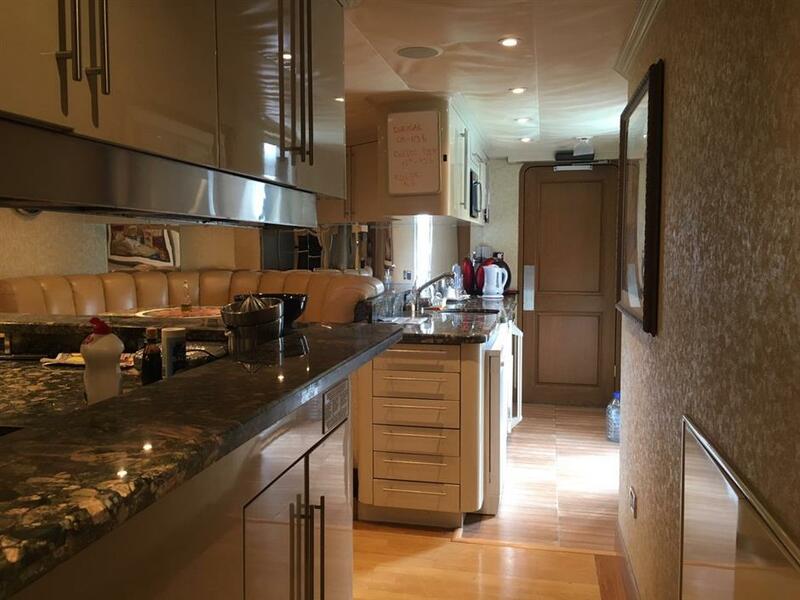 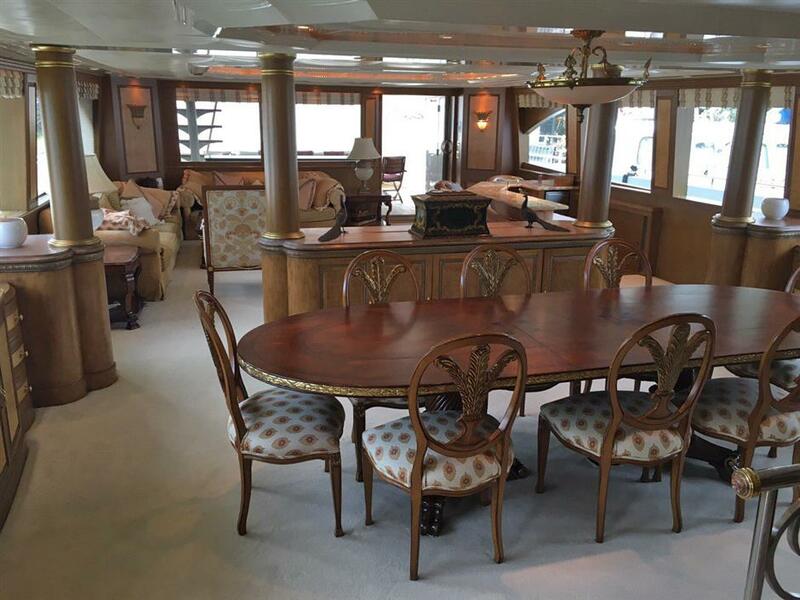 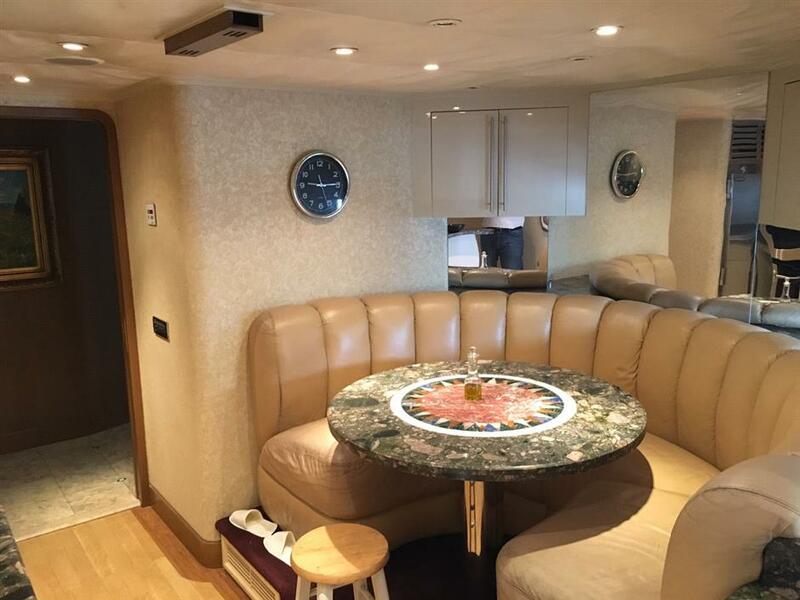 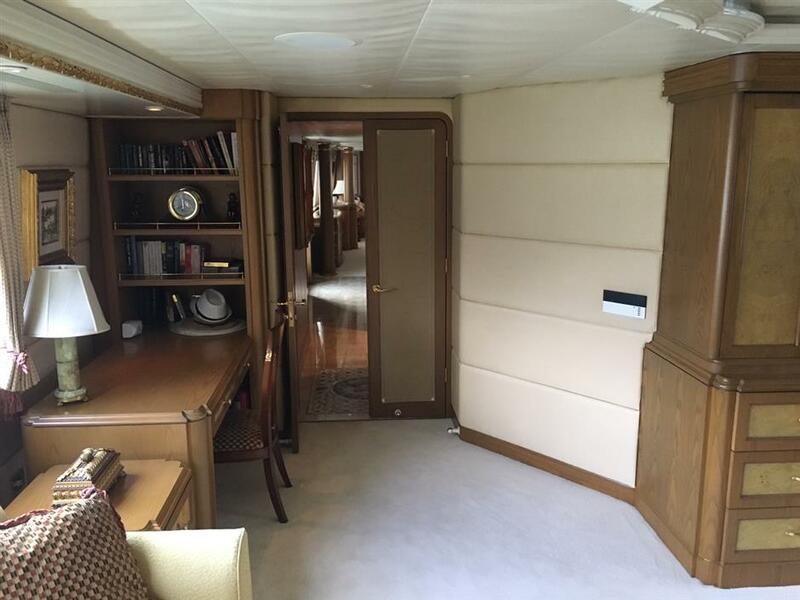 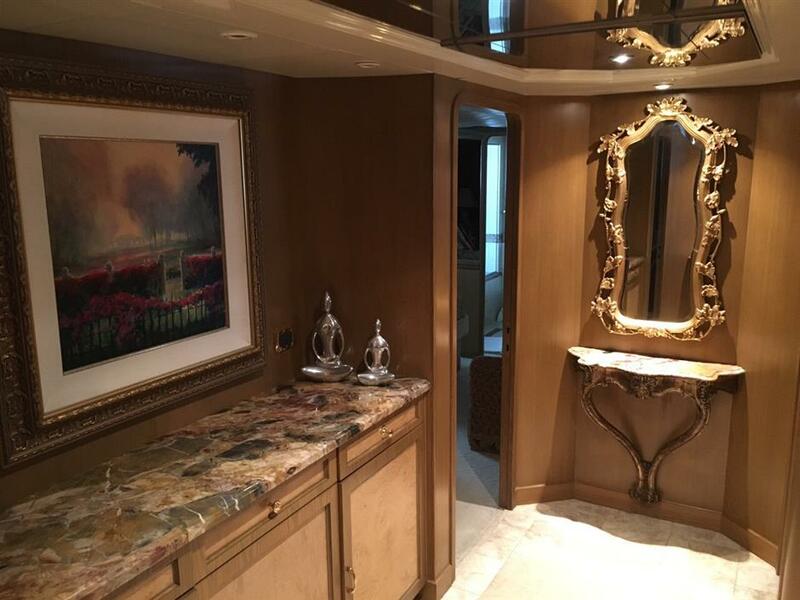 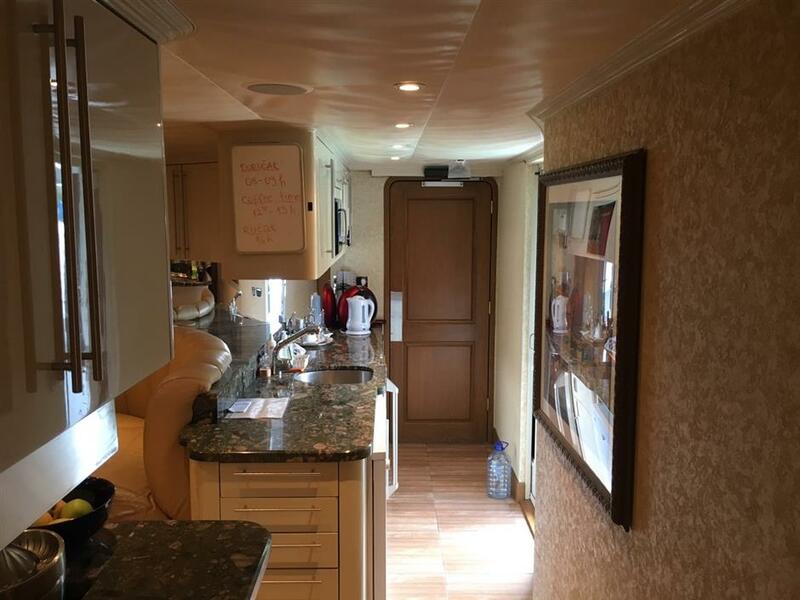 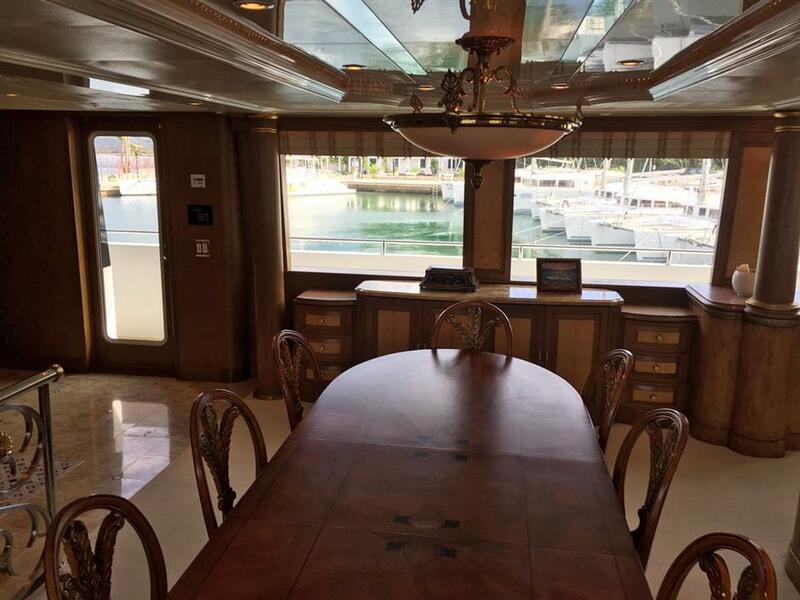 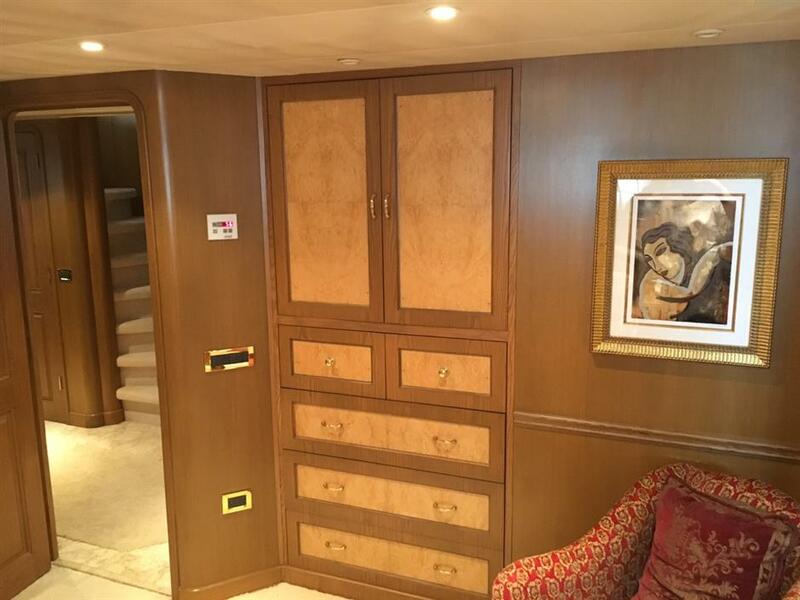 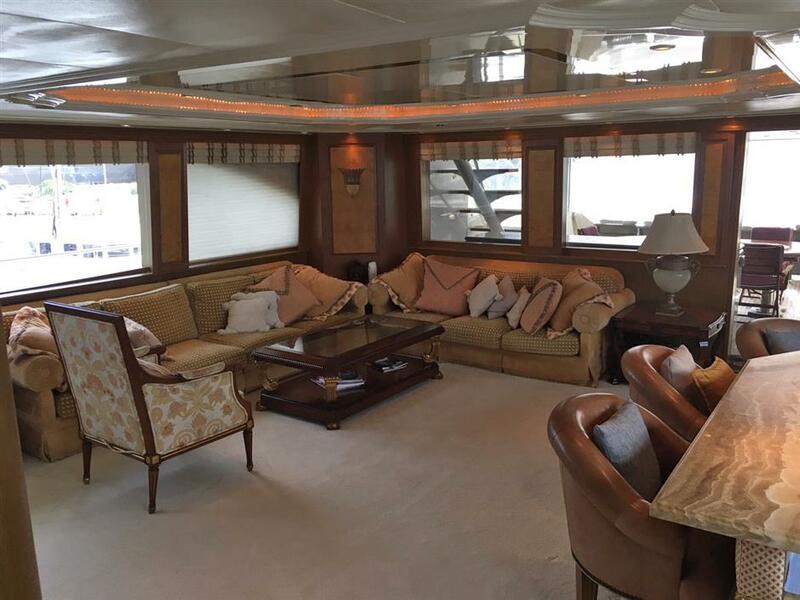 Westport motor yacht MONALIZA features a spacious main deck salon area perfect for relaxing with plush seating areas and full entertainment facilities, plus a formal dining area for 10. 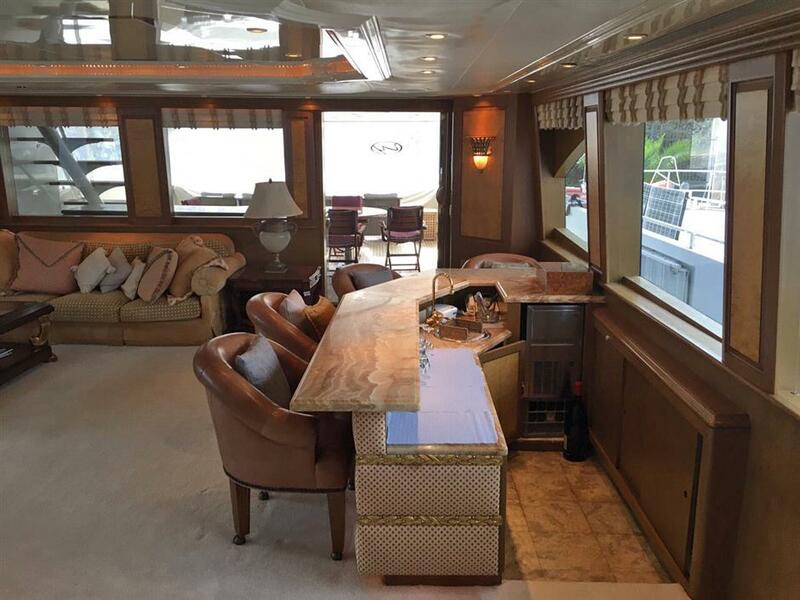 She also boasts a Sky lounge on the upper level with a couch plus a four-stool bar area. 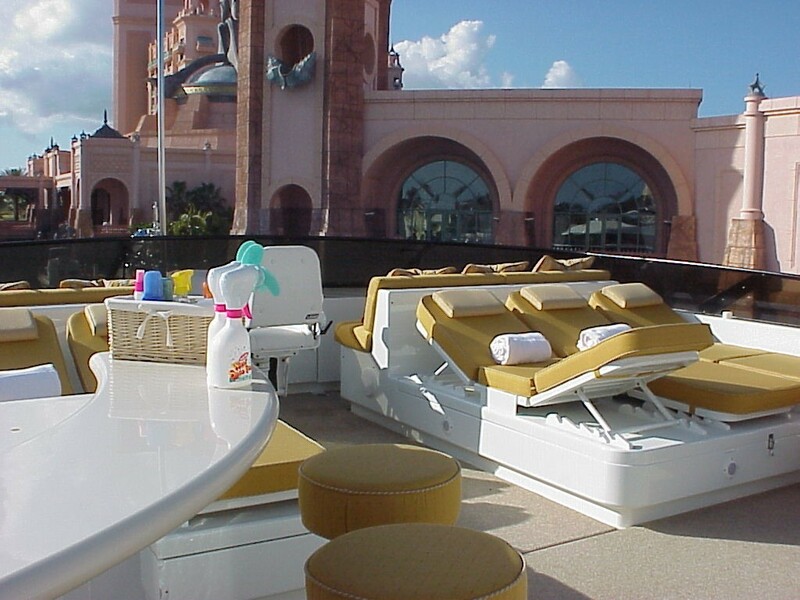 There are also fantastic outdoor spaces including the sun deck with large built-in lounges, a bar, and six-person Spa Pool. 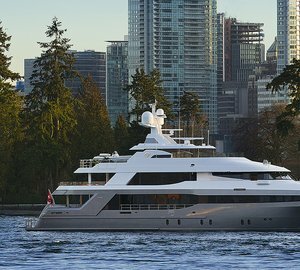 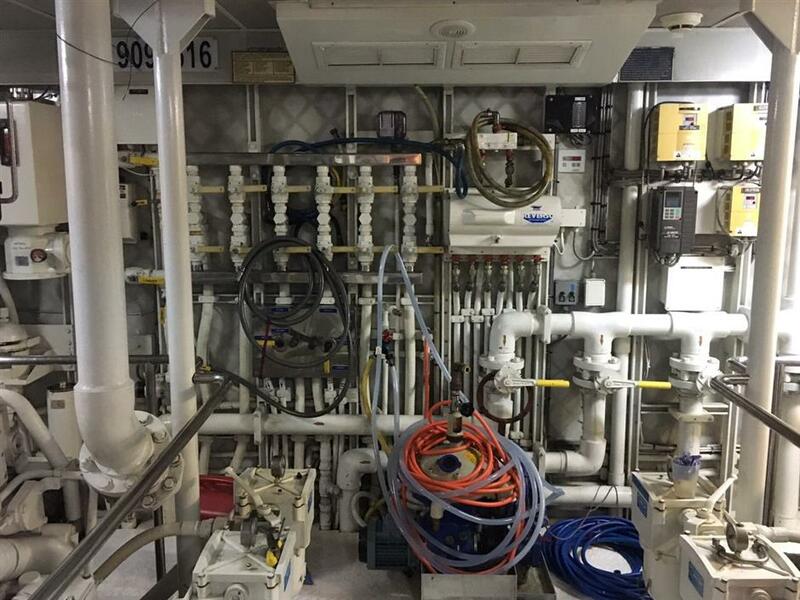 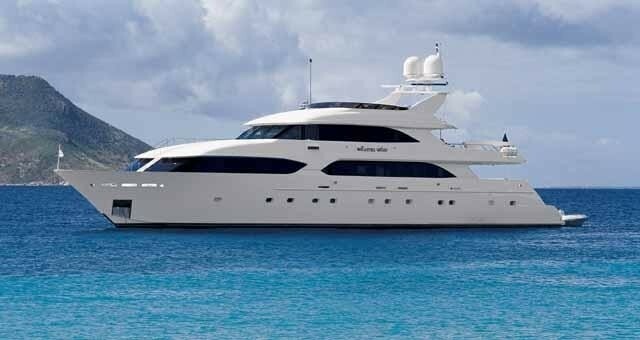 She is powered by two MTU 2,285hp engines that allow her to reach speeds of 16-20 knots. 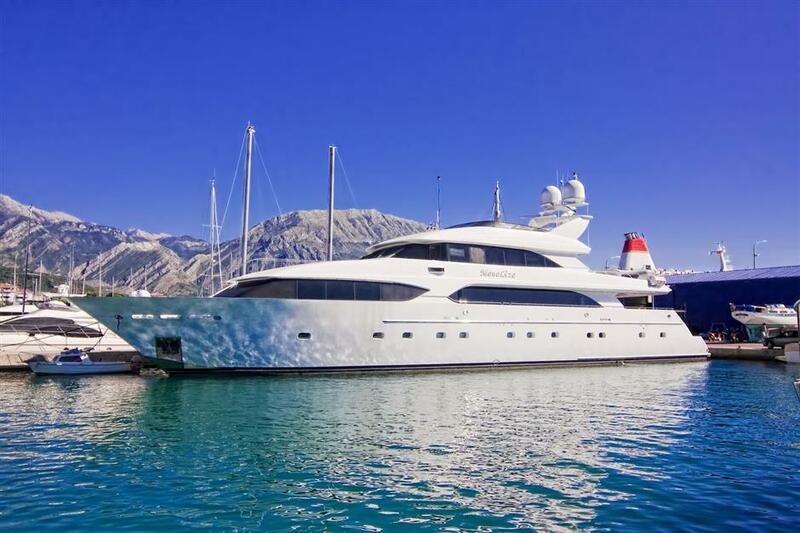 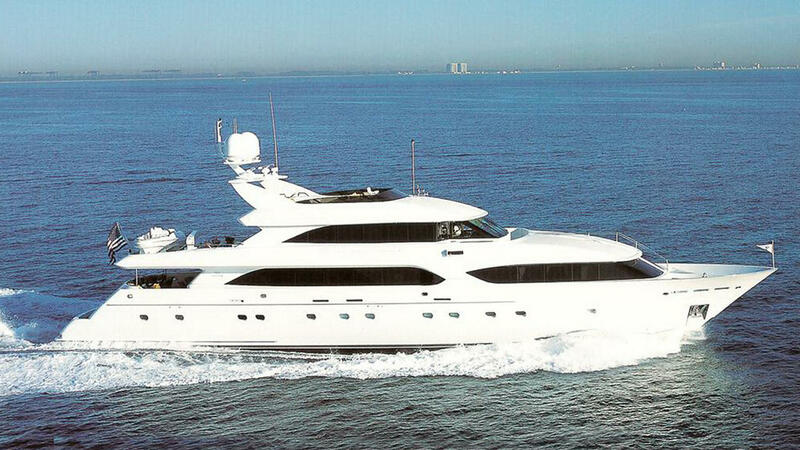 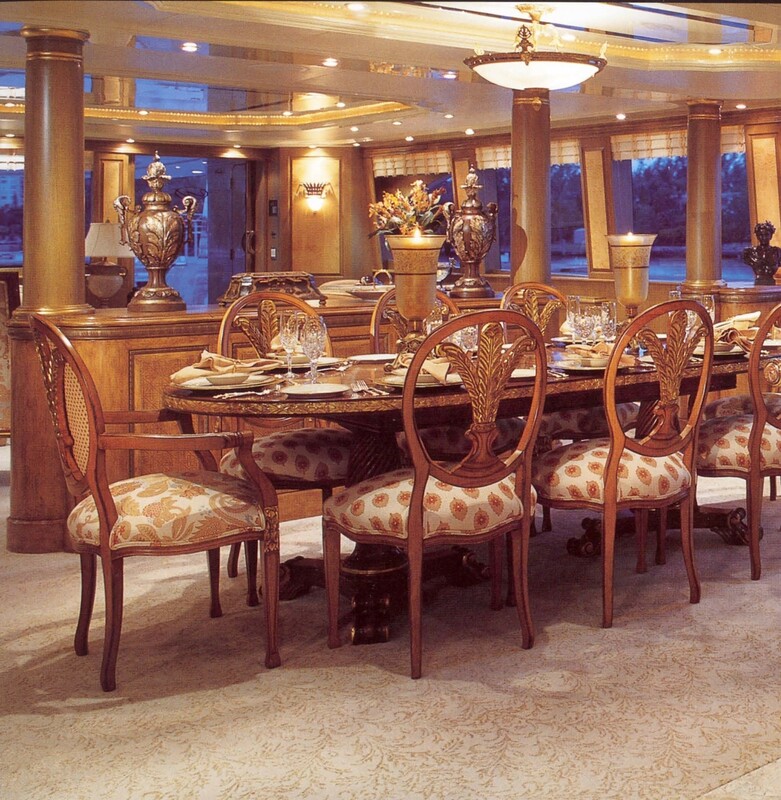 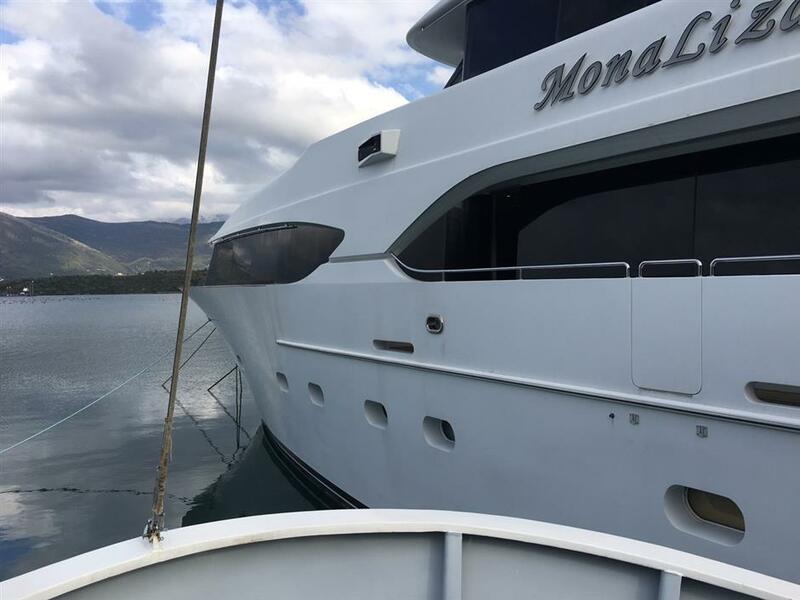 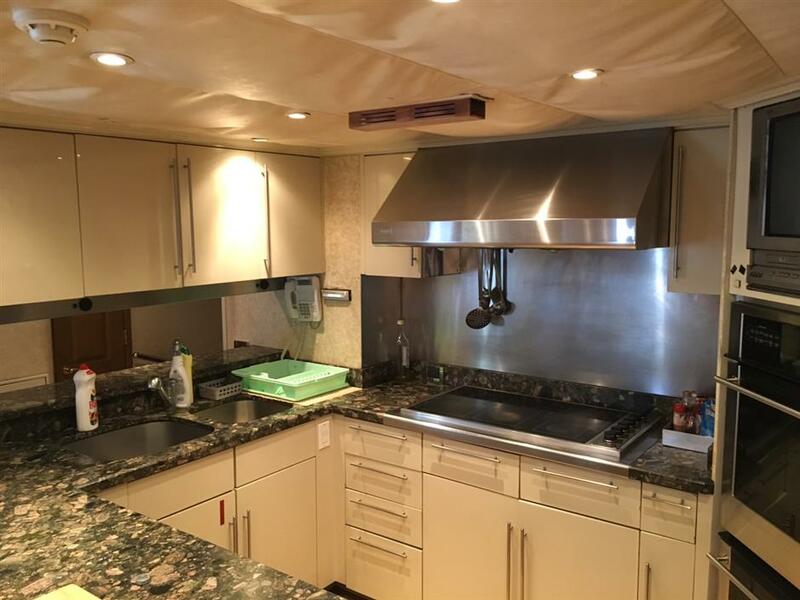 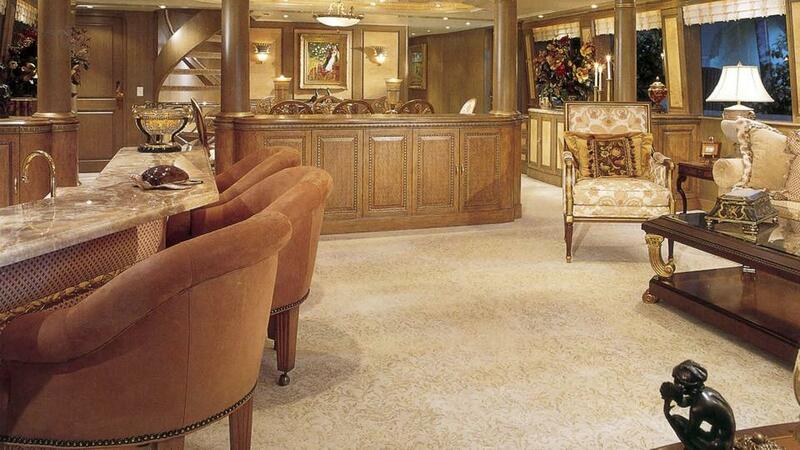 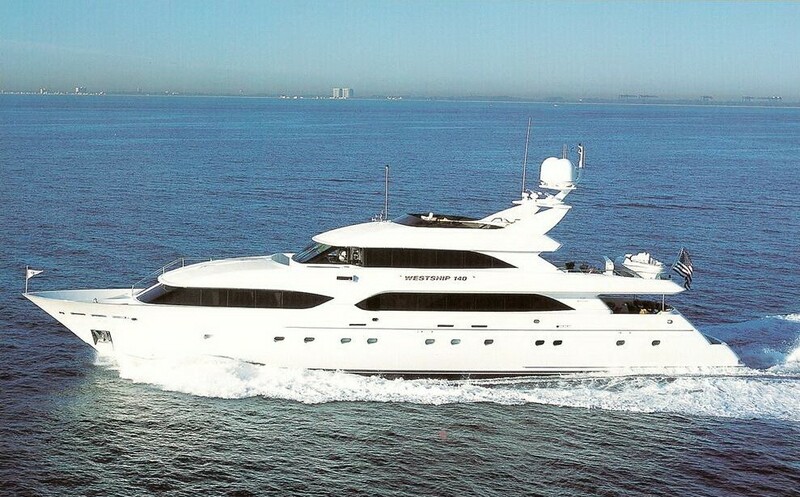 Luxury yacht MONALIZA (ex Martha Ann) can accommodate up to 10 guests in 5 staterooms. 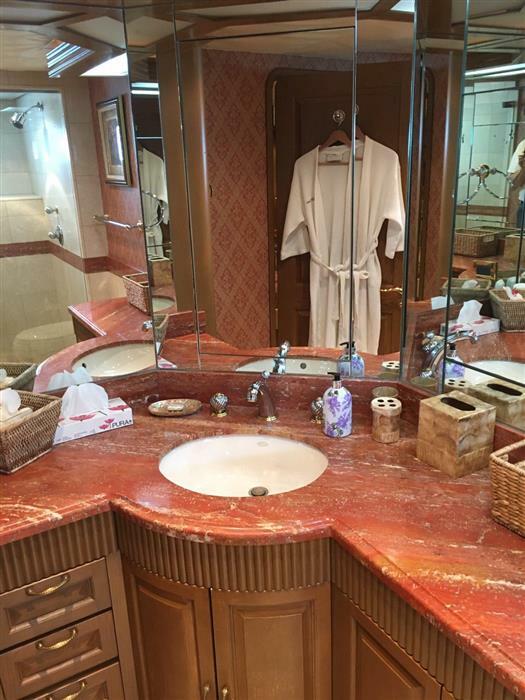 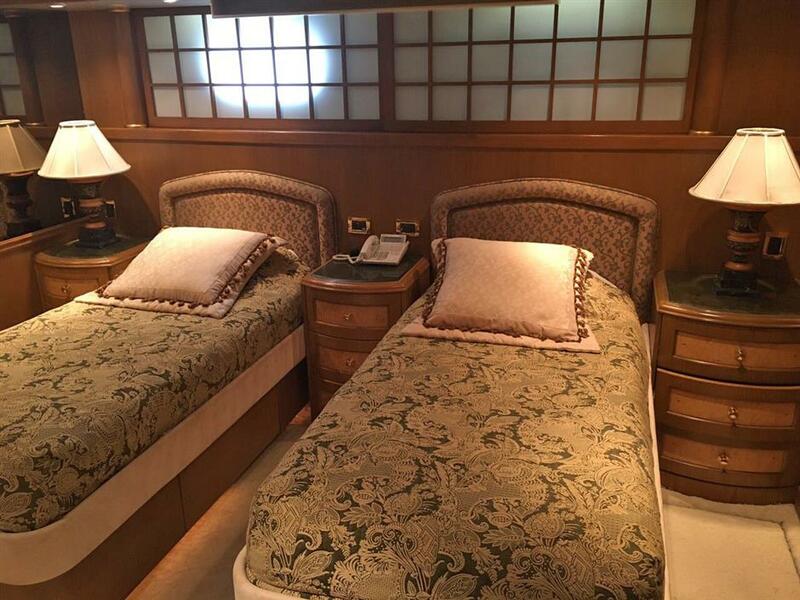 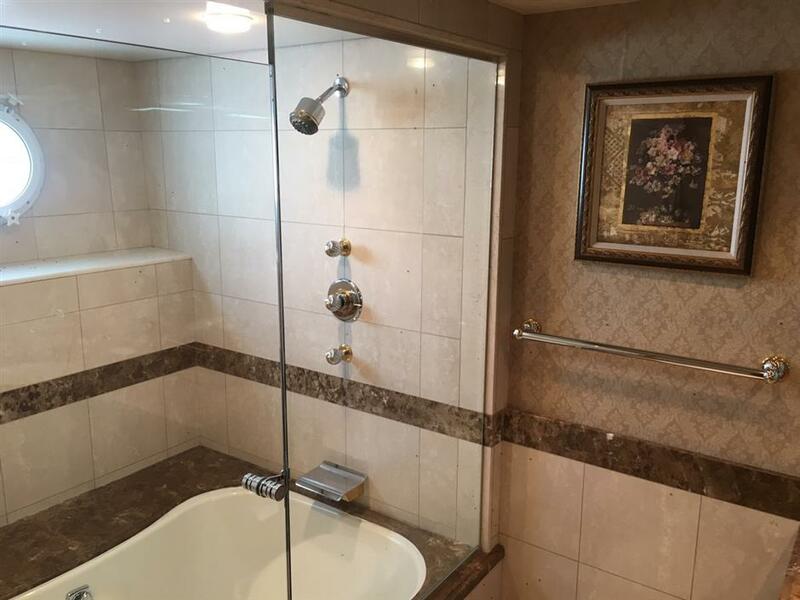 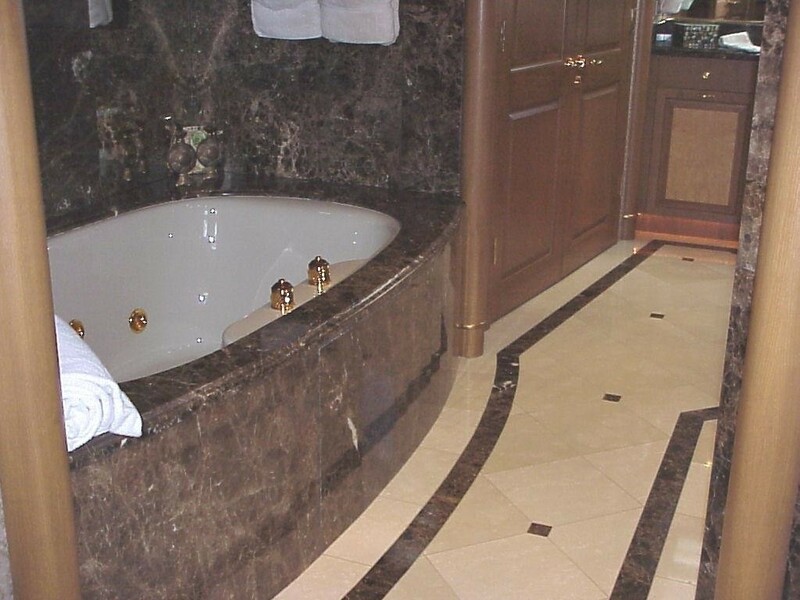 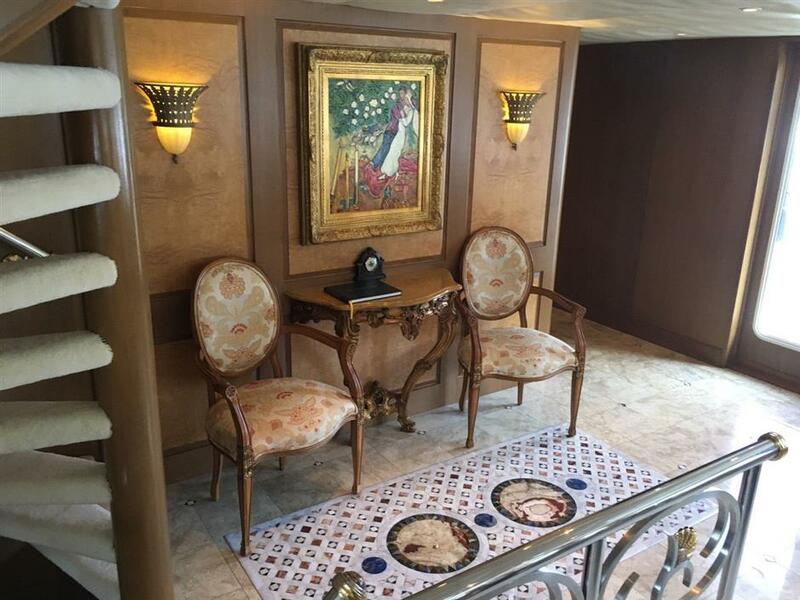 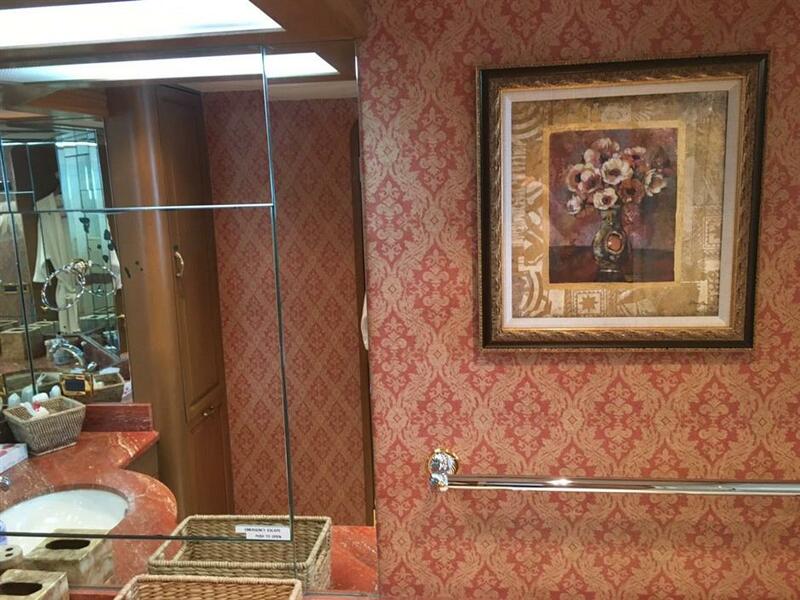 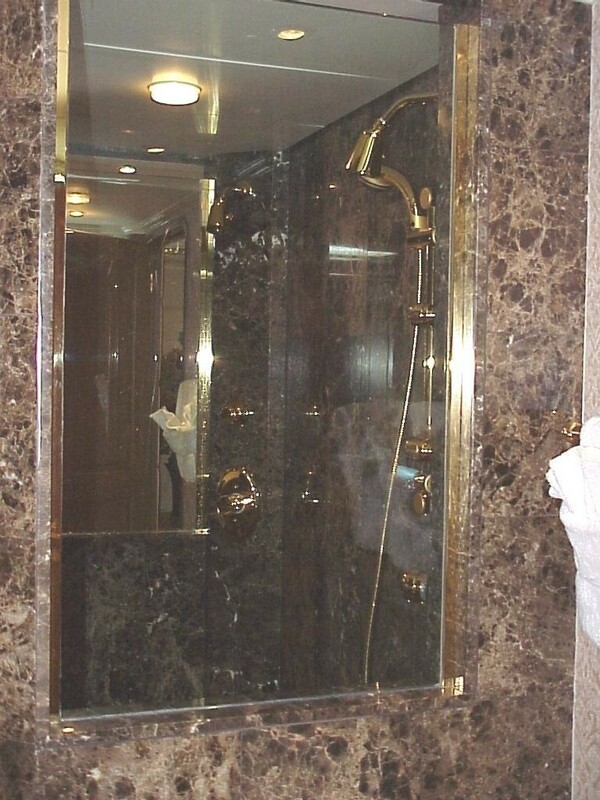 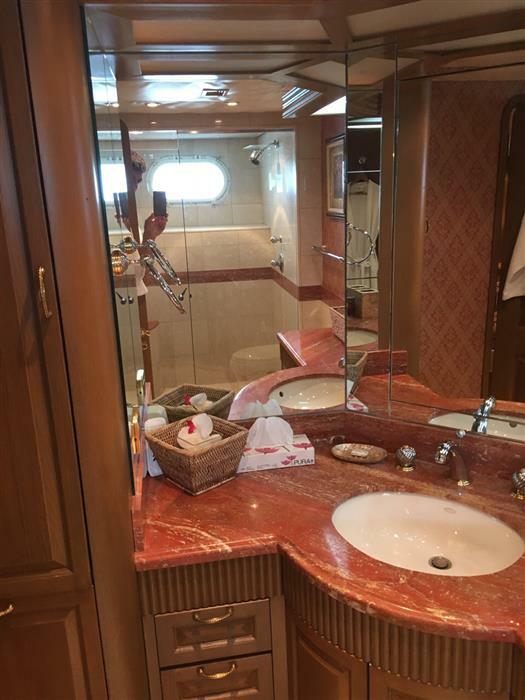 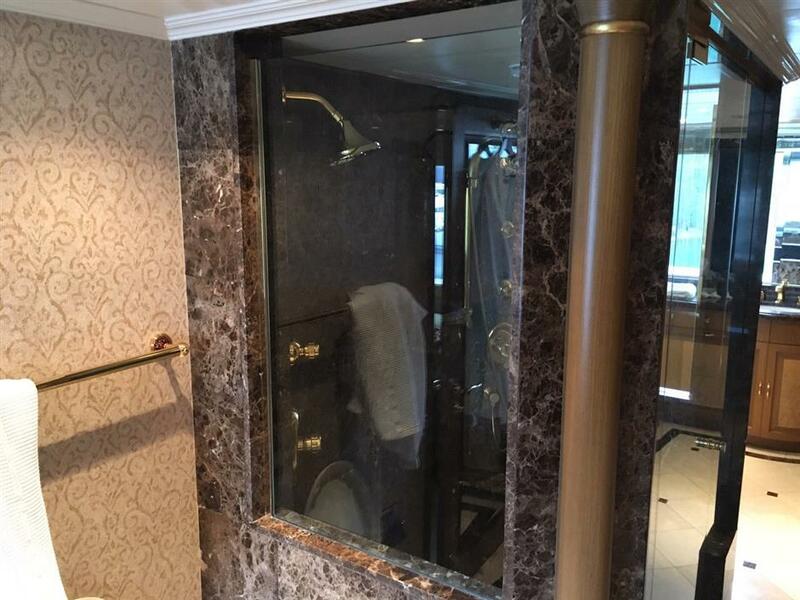 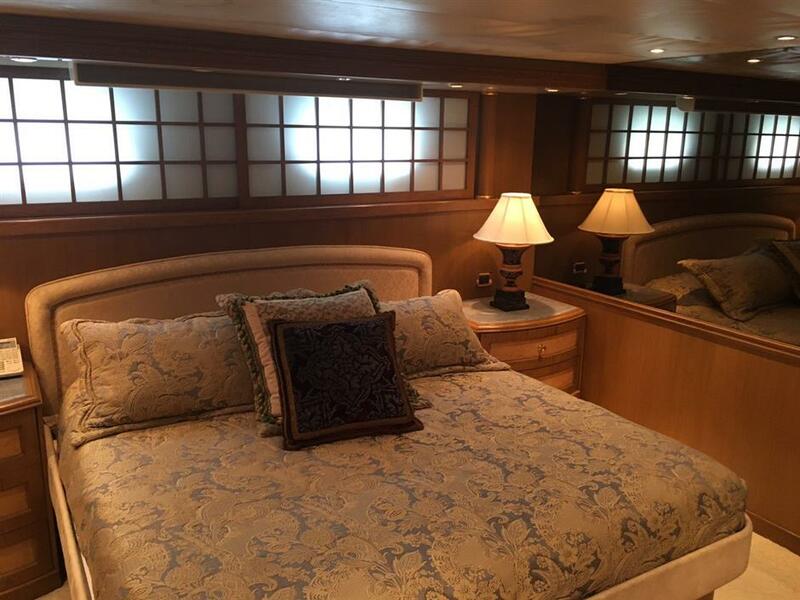 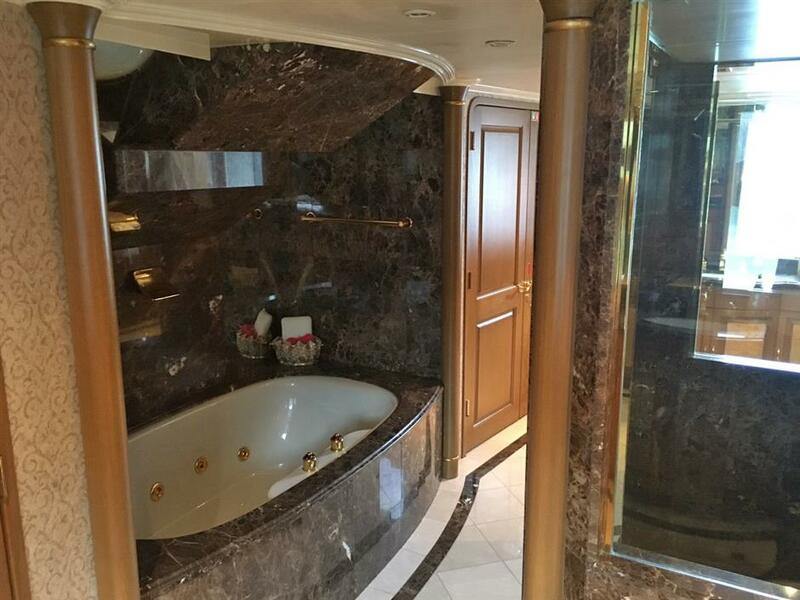 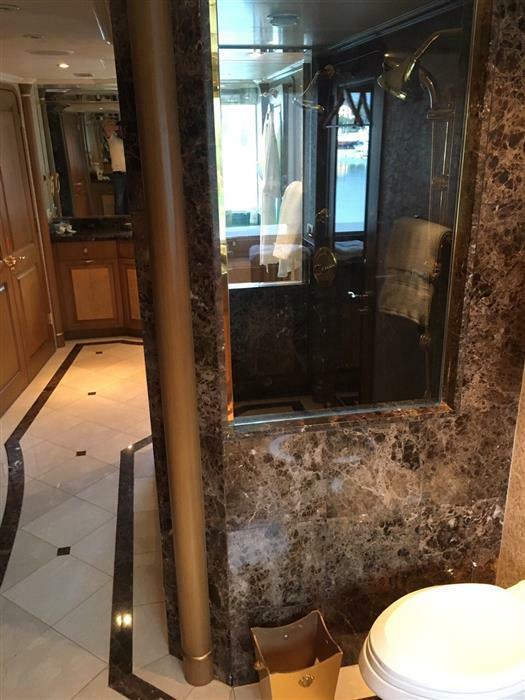 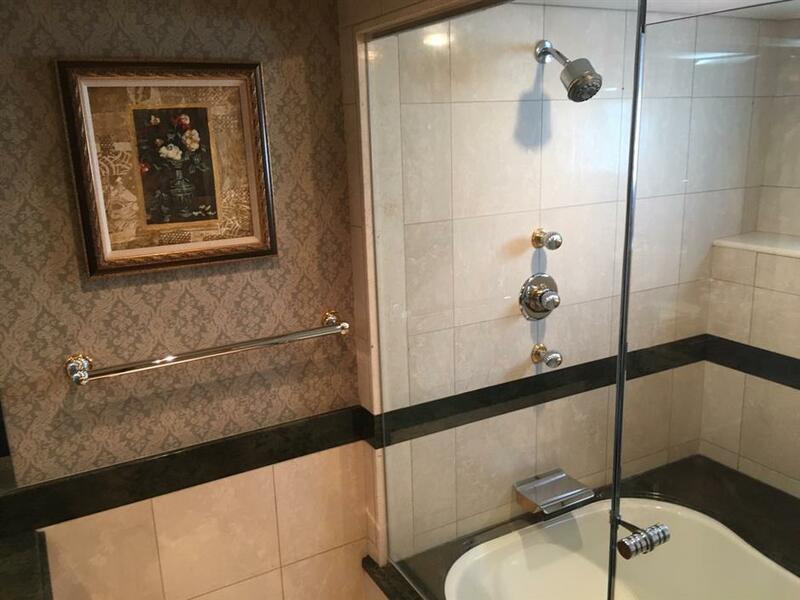 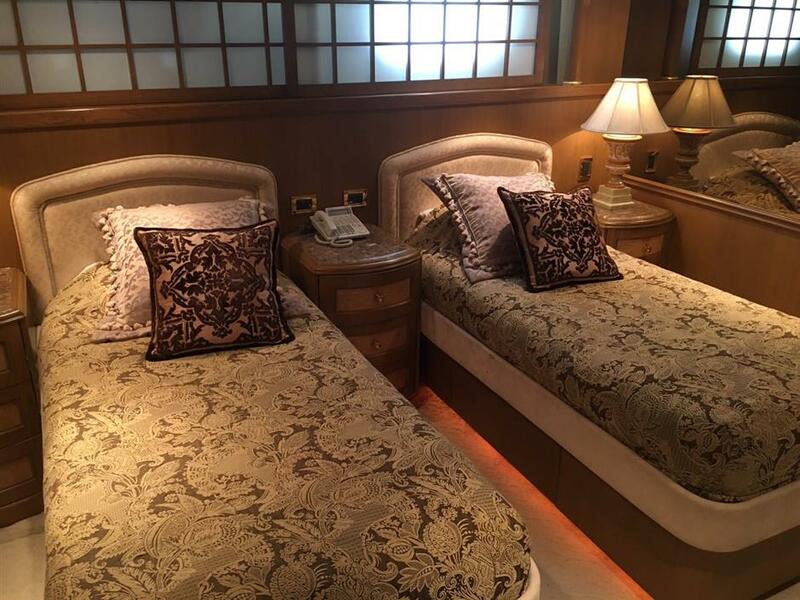 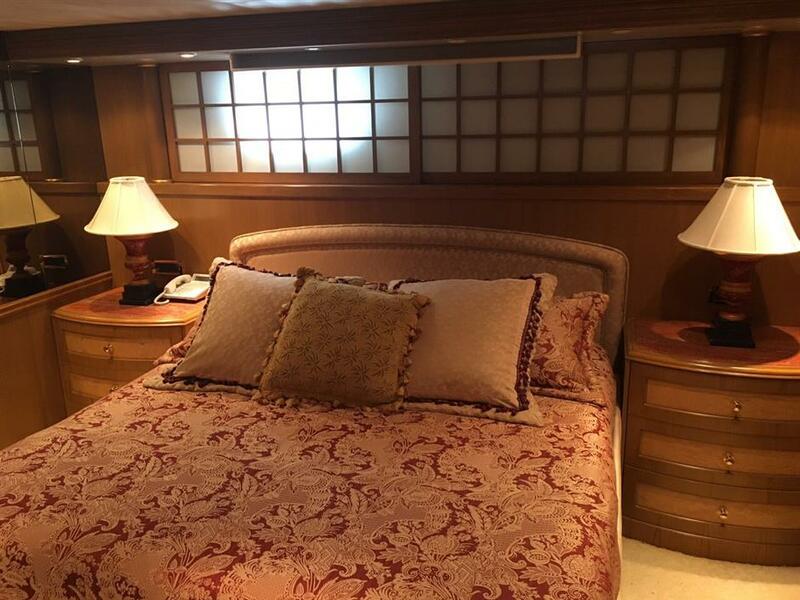 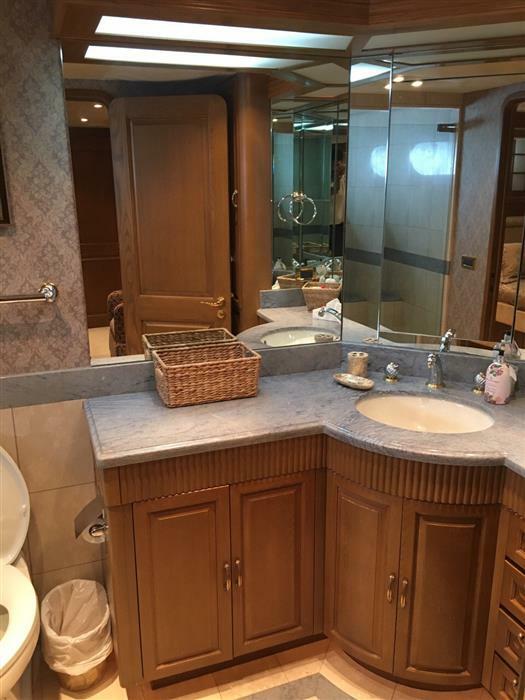 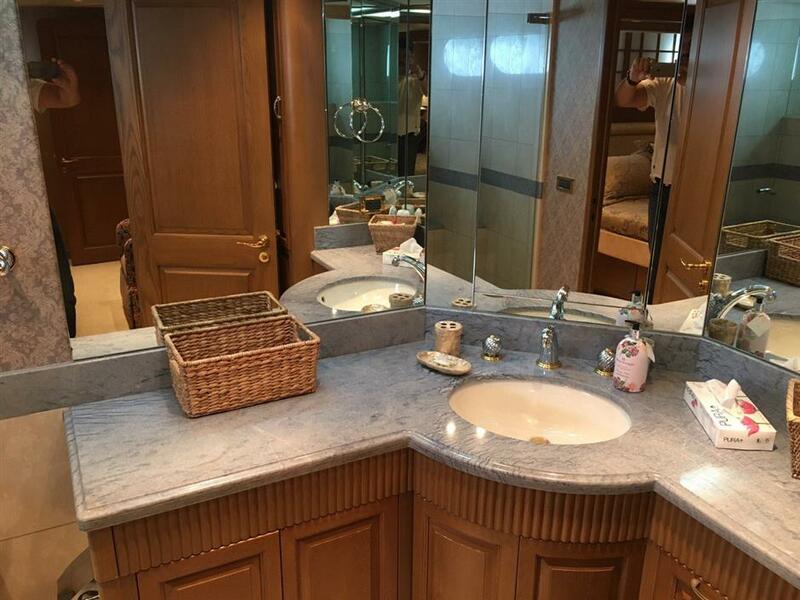 Her Master Stateroom is located on the Main Deck forward and features a King bed, en-suite His and Hers head with bidet, Spa Pool tub and separate full Euro shower plus an Entertainment System with 42” flat screen TV/DVD/CD. 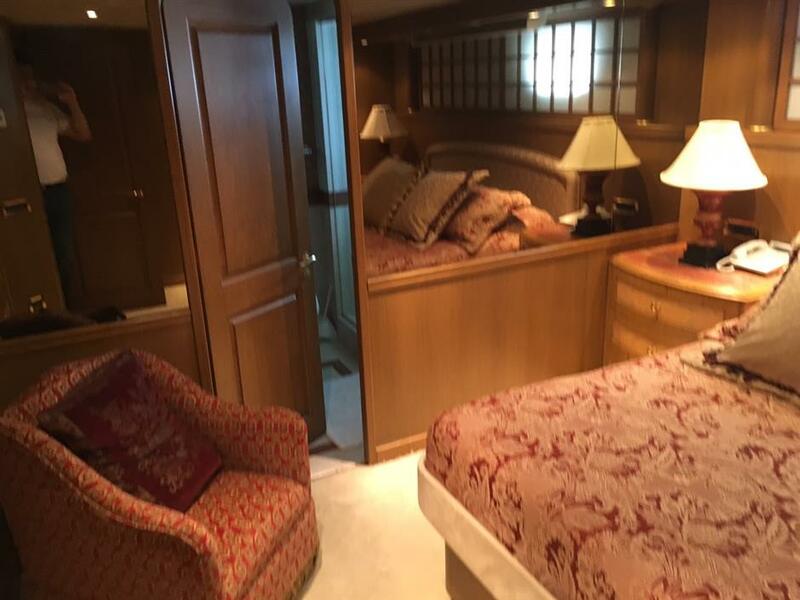 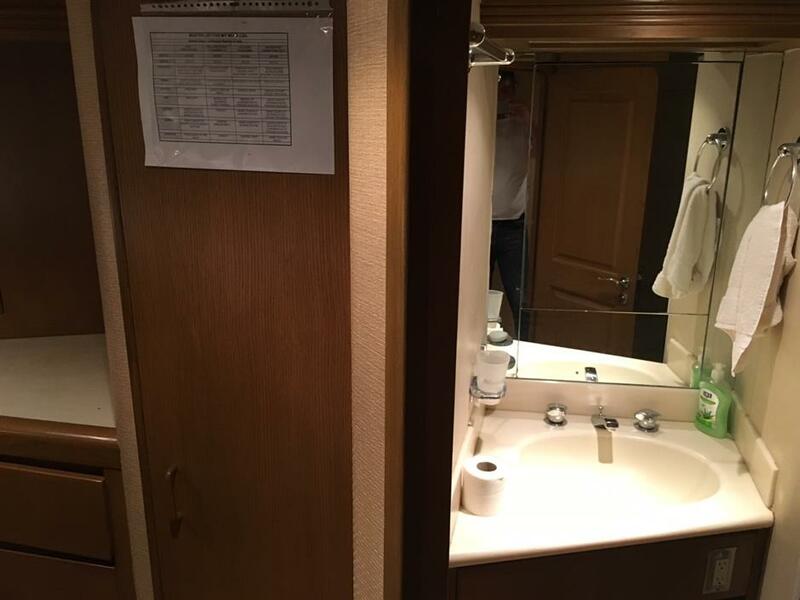 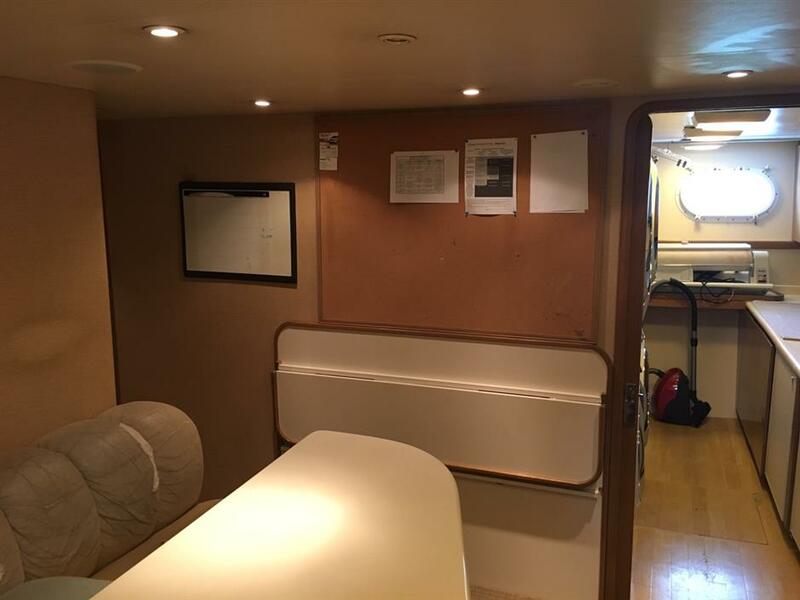 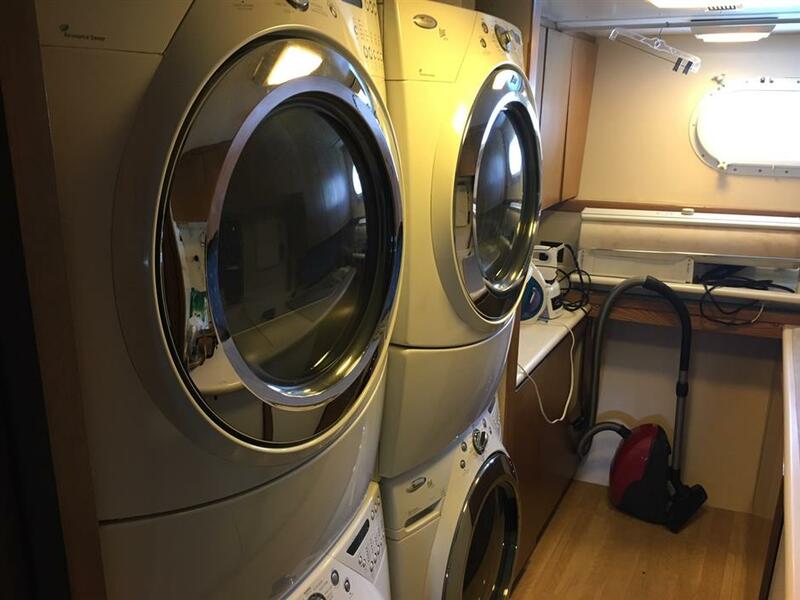 The remaining cabins are located below decks and include 2 Guest Stateroom to port and starboard with a King bed, en-suite head with shower, flat screen TV/DVD/CD and two twin staterooms with Twin beds, en-suite head with shower and Spa Pool tub, flat screen TV/DVD/CD. 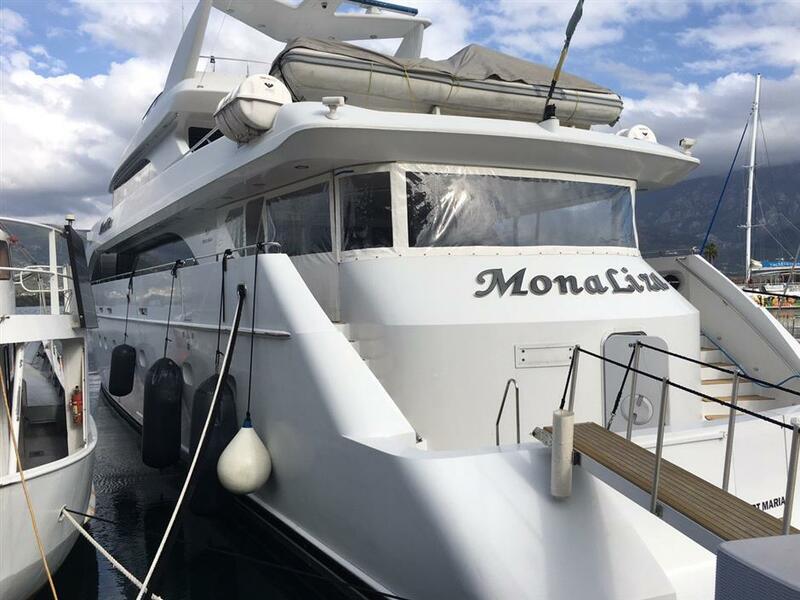 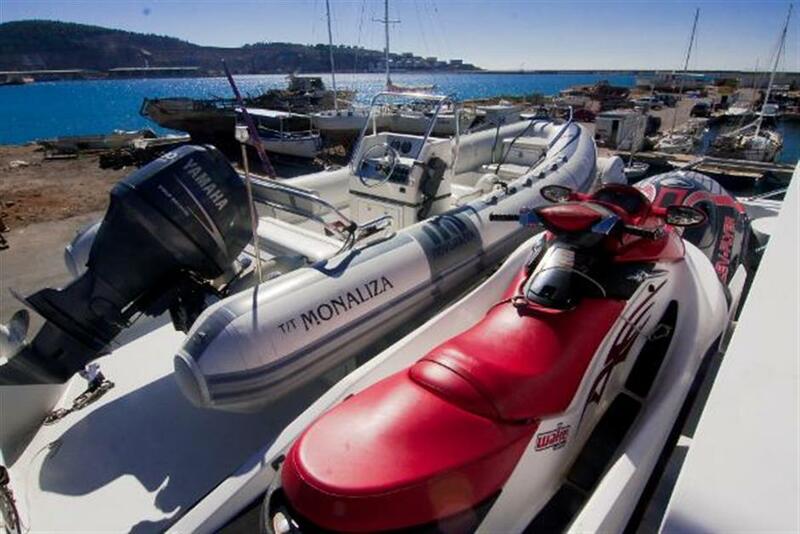 Motor yacht MONALIZA has the following extras onboard: Her Tenders & Toys include a 7' Novurania tender, FLYING JET WATER PACK 250, Yamaha scooter, 2 Seabobs 4.20 max speed - 20 km, Diving equipment for 8, Dive compressor. 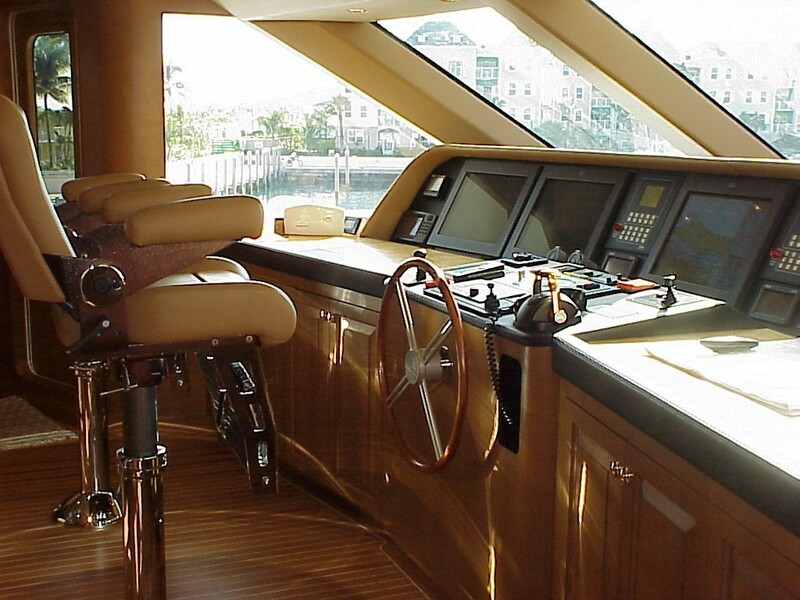 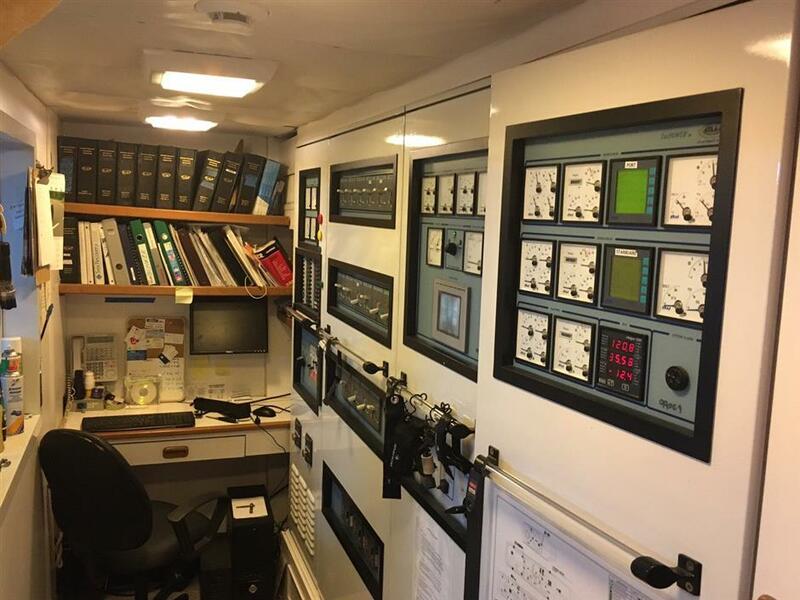 Communications onboard include Nera Mini M phone system, Fax machine, Computer with internet access (at dock). 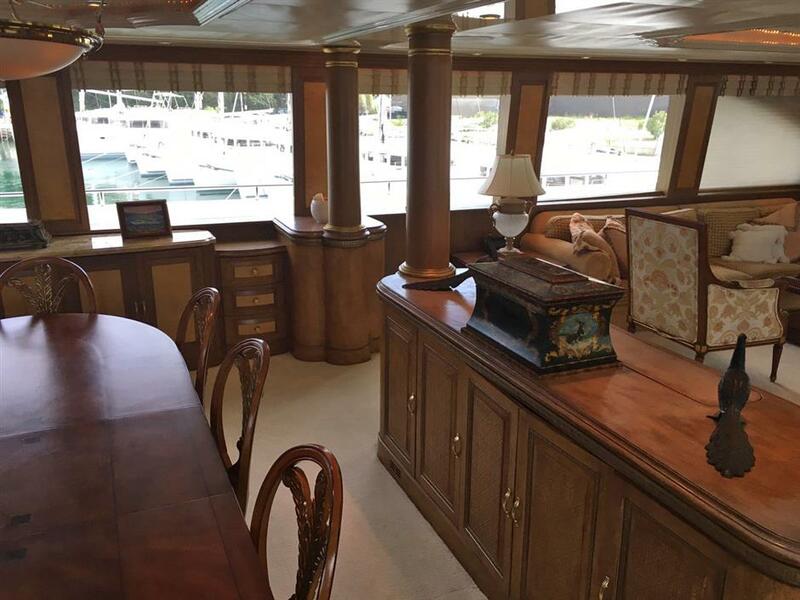 Audio Visual Equipment and Deck Facilities include a salon with formal Dining for 10, a low wet bar with seating for 4, an Entertainment system with Surround Sound, pop-up 42” flat screen TV/DVD/VCR/CD and a day head. 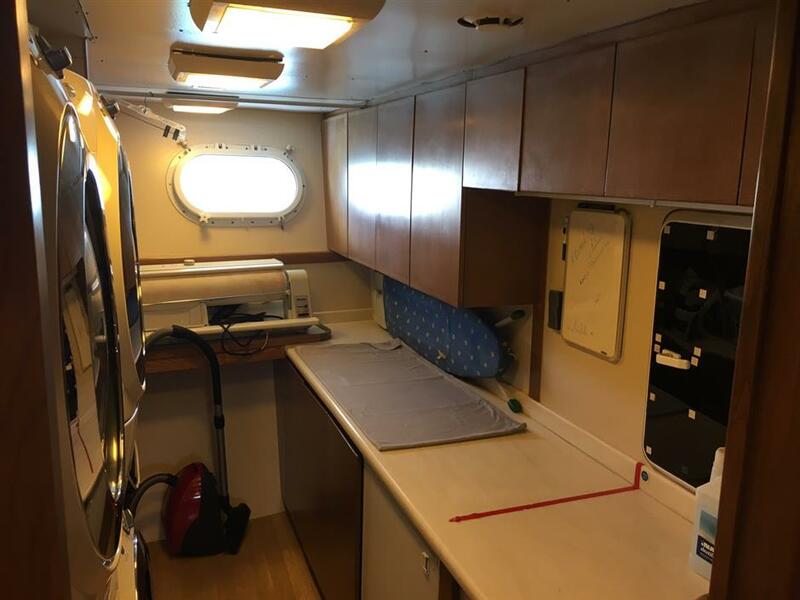 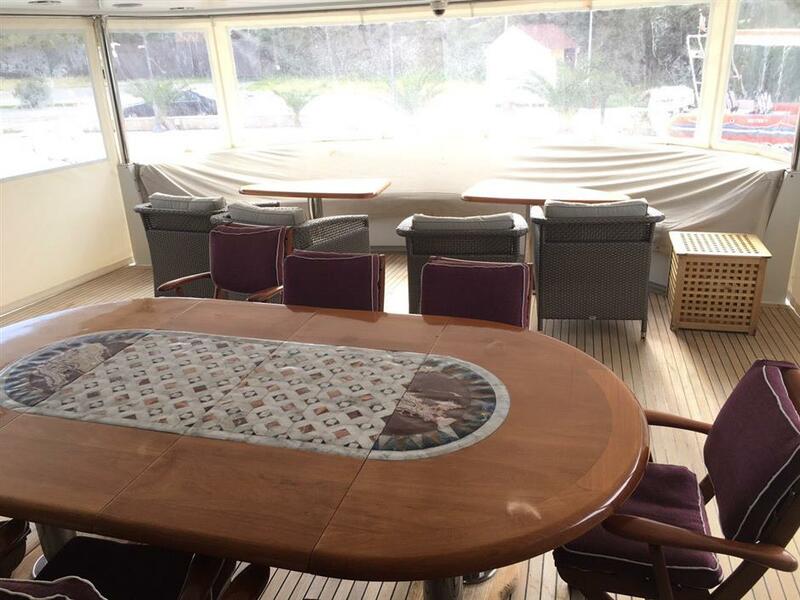 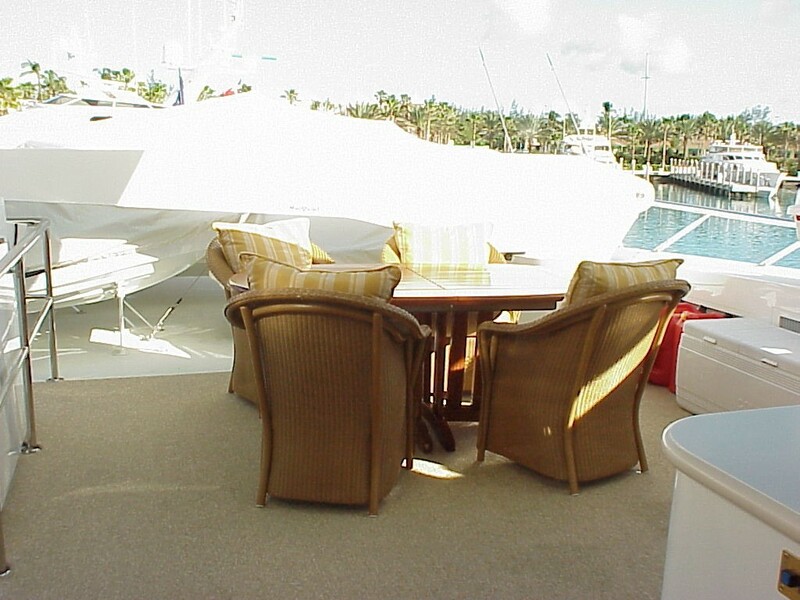 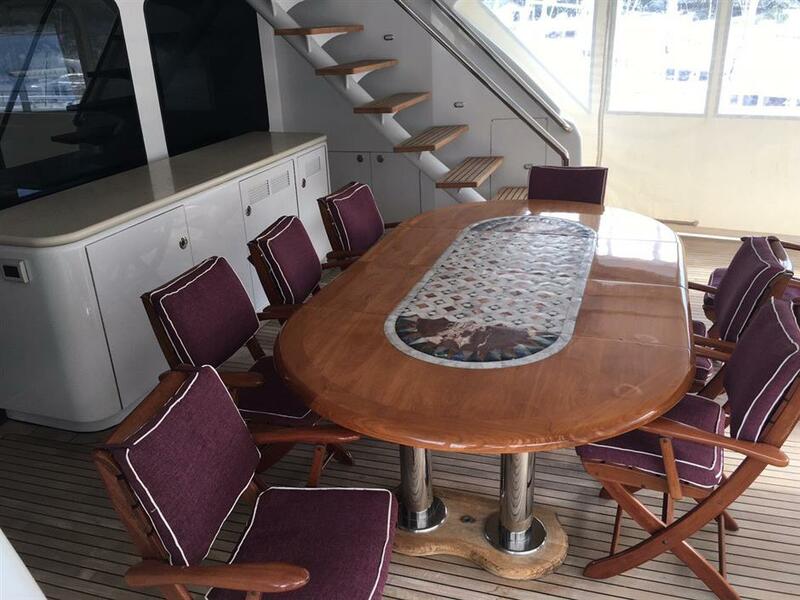 On the aft deck there is Bench seating for 10 with 2 kidney-shaped tables, Round table with 2 leaves, seating for up to 10 and access to boat deck and swim platform. 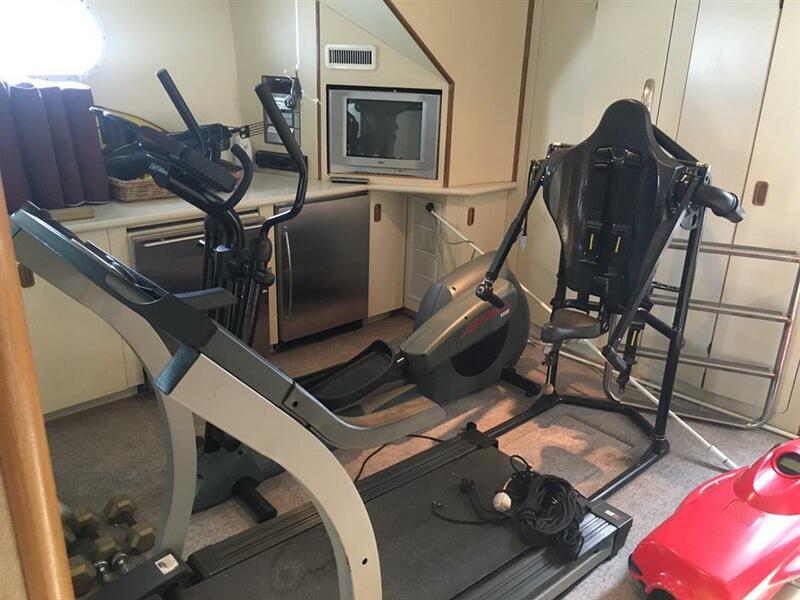 The Cockpit has access to swim platform and gym with treadmill, free weights, Life Fitness 9100, head with shower, TV. 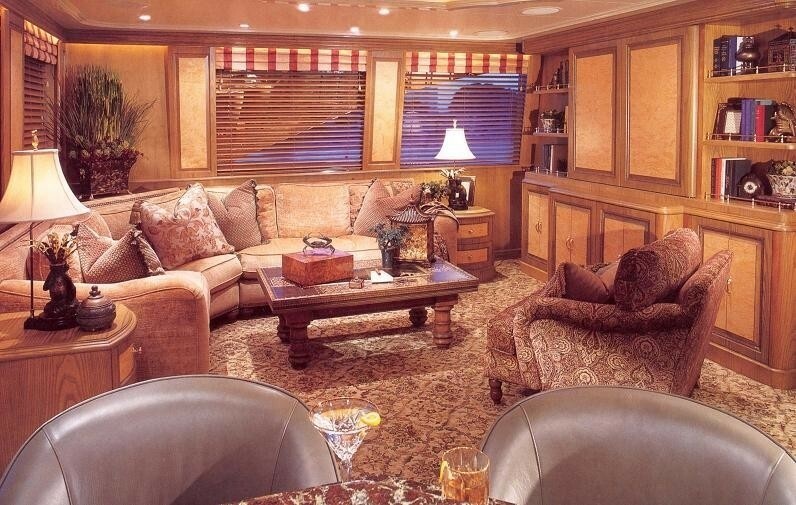 The Sky lounge has a full bar with stool seating for 4, Entertainment System with Surround Sound, 50” flat screen TV/DVD/VCR/CD, day head. 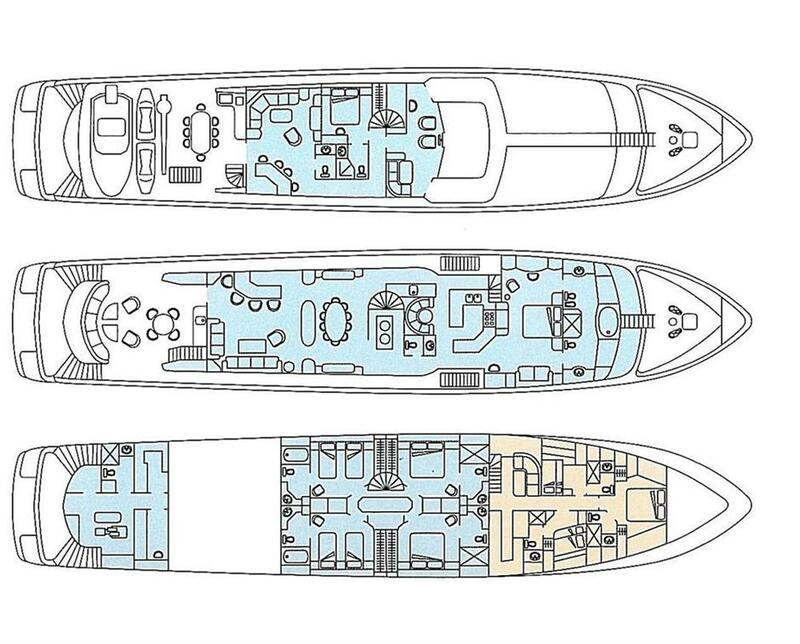 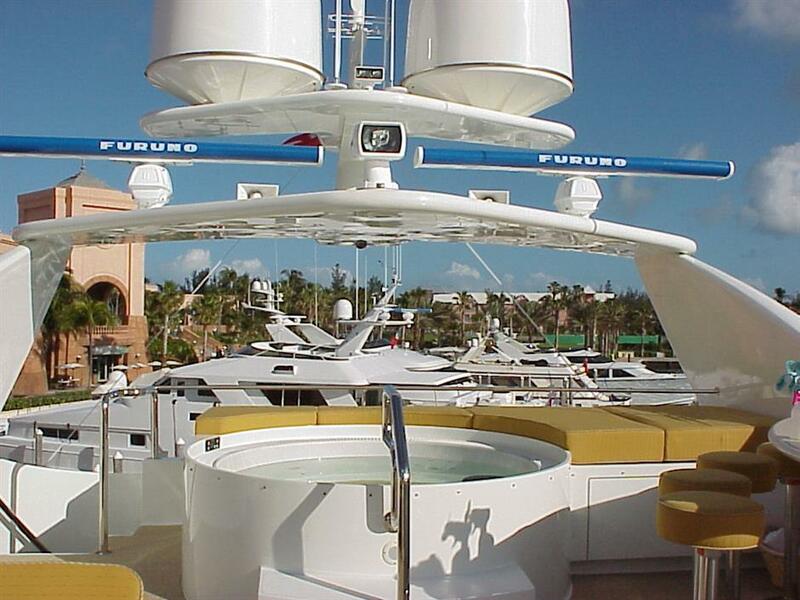 The Sun Deck has built-in lounges, bar with stool seating for 4, a 6-person Spa Pool and helm station. 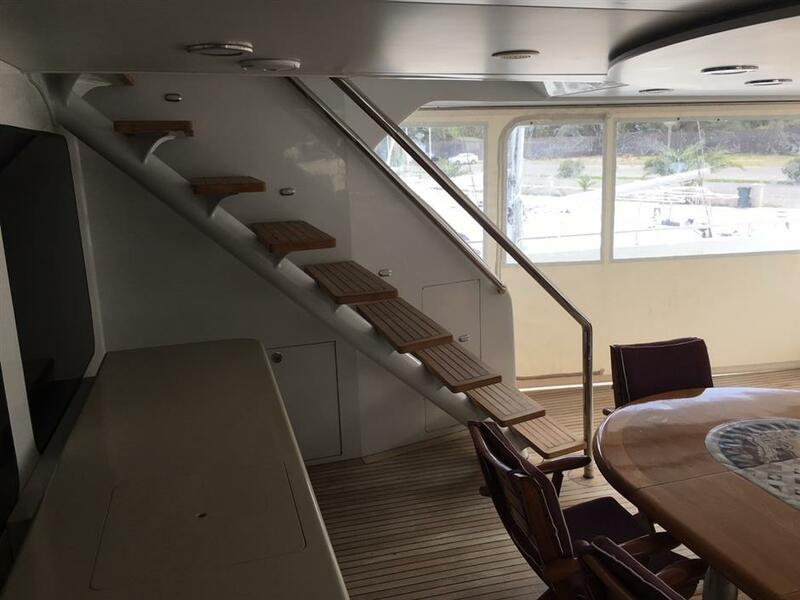 Toy Deck has Casual dining for 8; wet bar and grill. 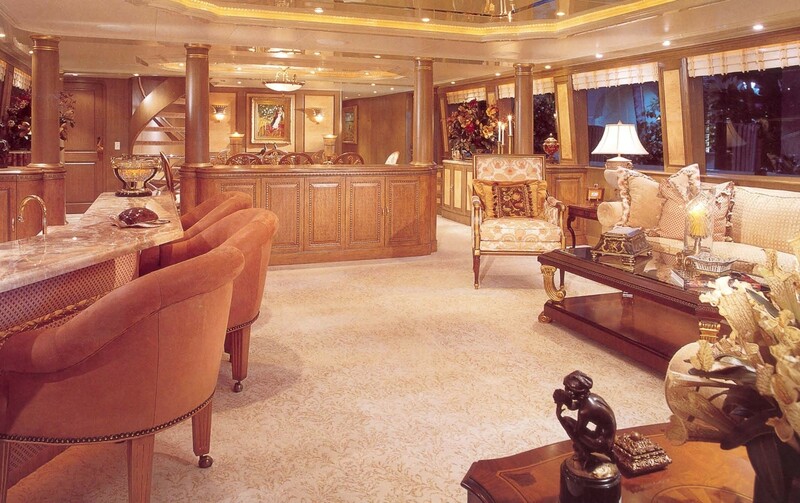 DVD, Video and CD Library, Board games, IPOD, *SAT TV in Salon.